DeMarini Diablo is a fantastic baseball and slow pitch glove that will work well for different positions. The company makes it with a durable ECCO leather to make sure that it has a long life and with a deep pocket. This glove also features a Dri-Lex wrist lining, Sorbothane Padding, Crossbar Web and an Adjustable Wrist Closure. Also, the Diablo is game ready when you get it since the manufacturer does most of the break-in. 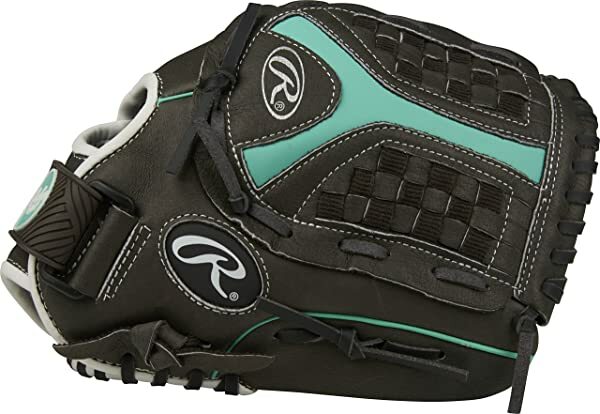 Material: DeMarini makes this glove with ECCO leather to ensure that it lasts for a long time and that it is comfortable enough for the hand. Closure: This glove comes with an adjustable Velcro closure that makes it easy for players to get a secure fit and also makes it possible to adjust it for a custom fit. Wrist Lining: Diablo features a Dri-Lex lining on the wrist and back of the finger which is a moisture wicking and an ultra-breathable material, and it helps to transfer moisture from the skin so that the hand remains dry and cool. 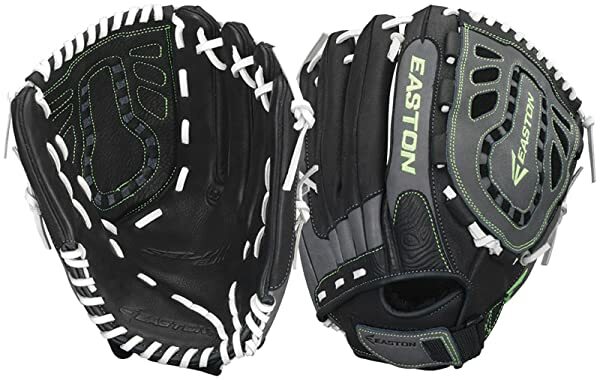 Web Design: It has a closed back design and a crossbar web which are some of the features or elements that help to make this an excellent glove for both baseball and slowpitch. Sorbothane Padding: The Sorbothane Padding on the palm and fingers helps to make this a very comfortable glove since it absorbs most of the shock that comes from the ball impact. Break-in: This DeMarinin glove is game ready when you get it, and the company does as much as 90% of the breaking in, and so it is possible to use it straight from the box. The leather construction makes it very durable and also offers maximum comfort. Ultra breathable lining on the wrist and fingers to keep the hand cool and dry. Thick padding on the palm is very efficient in shock absorption. The adjustable Velcro strap ensures that players always get an adjustable and secure fit. It has a great pocket that is deep enough. 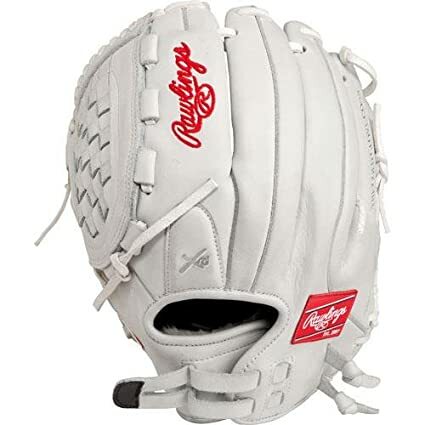 This glove is game ready, and it will require no oiling and little break-in. It is ideal for use in various positions. It will not work well for players with small hands. The leather is durable but still not the best. 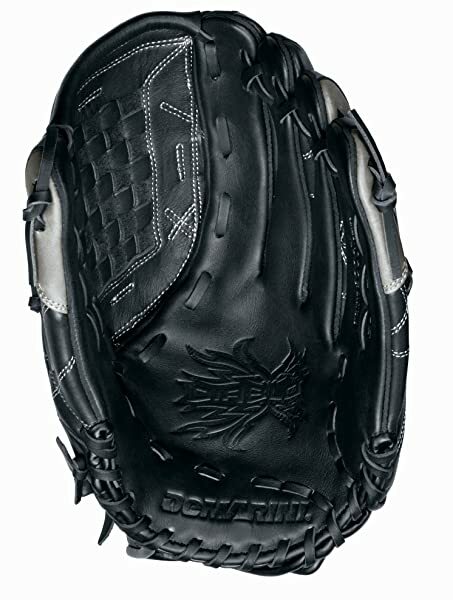 The Diablo is a best softball glove for beginner and intermediate players in baseball and slowpitch. 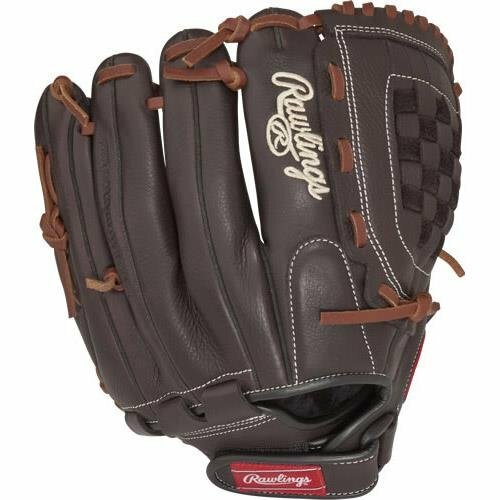 This leather glove is quite affordable, but most players will love the construction quality and the fact that it requires minimal break-in. The deep pocket is nice and very helpful, and this is more so for the slowpitch players. Also, the breathable lining on the wrist and back of the fingers and the adjustable wrist are an excellent feature. But even with all these fantastic qualities, there are still a few shortcomings with this DeMarini glove. And the main among them is the fact that it will feel too loose for players with small hands. But, there is nothing that can change the fact that it is top notch glove that is also very affordable. And so the bottom line is that it is worth trying out for both slowpitch and baseball players.